A2 Envelopes or 4.375” x 5.75” envelopes are smaller than the usual #10 envelopes, so they are commonly used for small sized prints like invitations, remittances, gift cards or promotional stubs for mailing. Different sizes are used for different purposes. You can also have them printed for branding and more professional look. 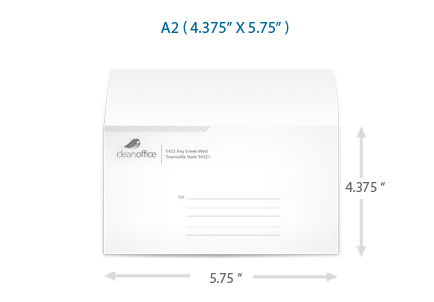 You can have your A2 Envelopes printed in 1-Color or Full Color. 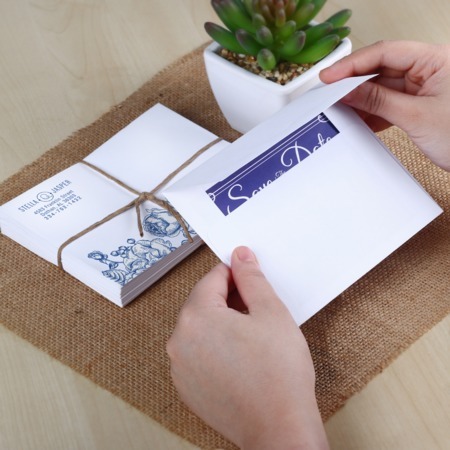 1-color envelopes are printed on 24lb paper stock and are only printed at the back. You can print your logo and return address on your A2 envelopes in black, reflex blue or standard blue ink. On the other hand, full-color envelopes are printed on a 70 lb. Uncoated Paper. Your envelopes can be ready for shipping in 2 to 3 business days for 1-color, or 4 to 6 business days for full-color. For questions and suggestions, feel free to contact us at 1.888.888.4211 or click the Live Chat button above and one of our customer service representatives will be happy to assist you!